LIRE is a Java library that provides a simple way to retrieve images and photos based on color and texture characteristics. LIRE creates a Lucene index of image features for content based image retrieval (CBIR) using local and global state-of-the-art methods. Easy to use methods for searching the index and result browsing are provided. Best of all: it's all open source. LIRE is successfully used at the WIPO, a United Nations Agency, to search in millions of trademark images and the Danish National Police to find similar scenes and to detect near duplicates. LIRE also works well with the Apache Solr search server. LIRE works on platforms supporting Java 8 and has been tested on Windows and Linux. Test it on a million images with the web demo. LIRE comes without secrets. All the state of the art algorithms are available in source. Well known and well performing local and global features are integrated. Using approximate search LIRE scales well to millions of images. Take control over every step in the process, tinker with extraction, indexing and search. There is a plugin for the popular Apache Solr search server and a docker image. Fresh & new algorithms from the visual information retrieval community. No need to pay a high price when it comes for free. No need to look for proprietary solutions, when source code is available. 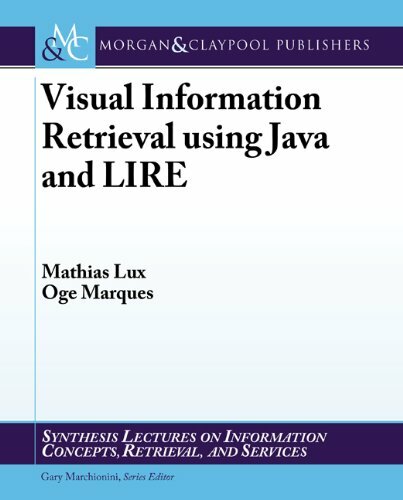 LIRE is published under the viral OSS Licene, the GNU Public License. Therefore, it will stay free. LIRE source is hosted and managed on Github. Check out revisions, submit patches and more. Anything you need to know? Ask on the LIRE mailing list. We are happy to help you! Developers will find everything to start with at the developers' docs. Even sample applications for common tasks are available. For many of the global descriptors LIRE is the de-facto reference implementation, also in research. Content based image retrieval & visual information retrieval experts at your service for affordable rates. Are you stuck with using LIRE? LIRE is actively used in research and industry. I used LIRE in several projects. And I am really impressed. It is very flexible, provides powerful tools and at the same time it is easy to use. LIRE was a huge help for our research in multimedia by allowing us to quickly extract visual features for our baseline processing pipeline. We used Lire for the extraction of visual features for the YFCC100m dataset. It is a great tool providing a broad set of different image descriptors, all wrapped in a robust and efficient library. LIRE is a fantastic product. We are using LIRE in production and are now able to index and retrieve our multimedia in much more sophisticated ways. Combining LIRE with Hadoop/SOLR means that we can scale the solution. What a joy. Now that you have read all the details, download it and get started. We believe in Open & Free Software. Copyrights © 2015-2017 All Rights Reserved by Mathias Lux. Kindly supported by the Technical Faculty of Klagenfurt University.